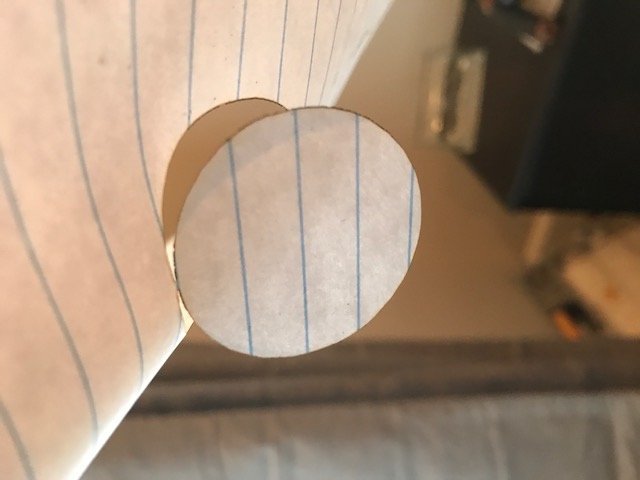 What can I do to get the piece I cut out to fully separate from the piece of paper? I am having a problem of "hanging chad"....that is, the laser doesn't quite cut through right at the start/stop point, which leaves a small piece of paper connected (which I must then pull apart manually). This is a problem when doing really intricate cutting, as I tear the paper when I attempt to to separate it. I know I can do multiple passes or really slow the cutting speed down.....but this causes the job to take longer, and also seems to give a less precise result (i.e. more of the paper gets burned away in the cut). I know that Bencutlaser has a setting to delay moving the stepper motors for a set number of msec when the laser is first turned on.....does T2Laser have any equivalent setting? Or is there a better fix?? My details: Elekslaser A3, 2500 mW, firmware 1.1e, using T2Laser software, cutting at 500 mm/min. It may be your mechanical setup, if the circle isn't closing that's typically a result of backlash (play) in the axis where start and stop don't coincide. 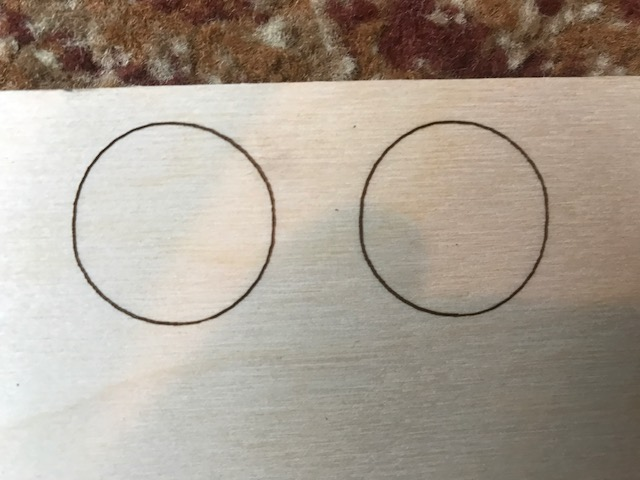 Here are a couple of circles, engraved on wood with the same settings. Slowing down the rate definitely makes the full cut.....but it is making a "wider" cut than I'd like (and slows down the job). Would still like to see a more "elegant" solution to this problem with the paper. Does T2Laser have a "delay stepper motors after first starting laser" setting? 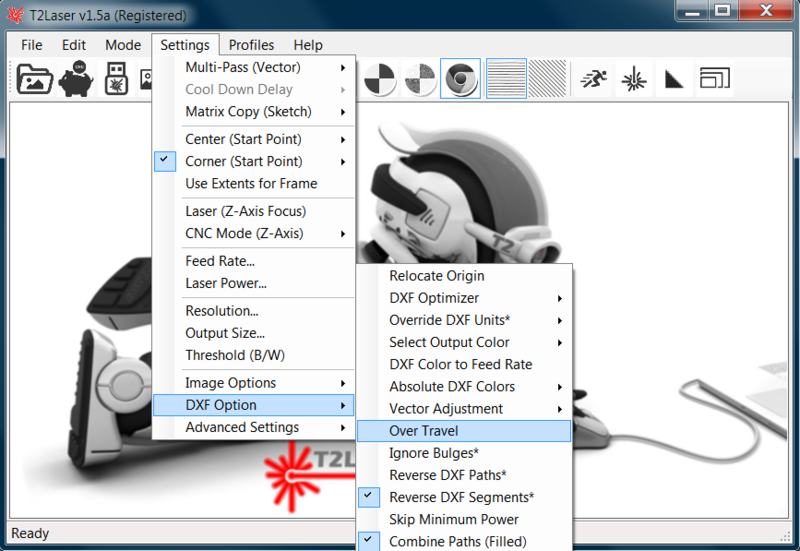 @joelrsails There are 2 ways to get a delay, both involve enabling CNC mode. You can enter a value for Z, like 10mm and it will "think" it's moving the axis which causes a very short delay (may be enough) or once CNC mode is enabled you can use the spindle delay to add any pause you like, 0.1 would be 100ms etc. sometimes with white paper a first pass really fast helps. Do one at like 2000 then your second one at say 700. Should take about the same amount of time. The first pass will remove the white reflectivey surface and make it so the second cut is clean. And since they are both faster than what you are doing now it should keep the kerf (swath width the laser cuts) about the same. I am having the same problem. With complex or delicate cutouts it is a huge hassle to hand-pull all of the tiny pieces off. Many times it ruins the work by tearing the paper. I see on mine it's having the problem at the start\finish area of the cut. When using CNC Plasma cutting for metal, this point is called the pierce. Since the cutter isn't up to full power at the pierce, the plasma pathing software plots the pierce and alittle lead in, in the waste parts of the material. It starts the cutter ahead of the actual cutting path, to allow the cutter to ramp up and start cutting by the time it gets to the desired cut spot. @TheGarp These issues are much greater with plasma cutters, but I have used lead-ins with my CNC on certain materials. The lasers usually don't need this as the beginning and end points coincide (if the machine is setup correctly) and the initial "burst" of energy when turning the laser on should be sufficient. A small "overrun" may be possible, I actually do this in certain conditions when raster scanning but not in the vector engine currently. 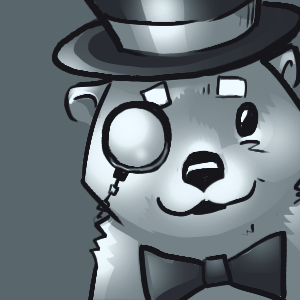 I've actually been considering another feature and this ties in well, so let me think about it and see what I can do. @Zax Cool, even an option to add .1-3mm additional re-cut on the end of an initial cut would be perfect, much better and faster than doing a whole second pass. It would be a good option that will continue to set this software apart from the others. @TheGarp This feature was added. It's a little difficult to see on the simulation so I highlighted the over travel.